The Alpinestars Tech 1-Z Auto Racing Glove features a range of design and material innovations resulting in an ergonomically evolved chassis which offers a significant weight reduction and improved levels of control, cockpit comfort and performance. 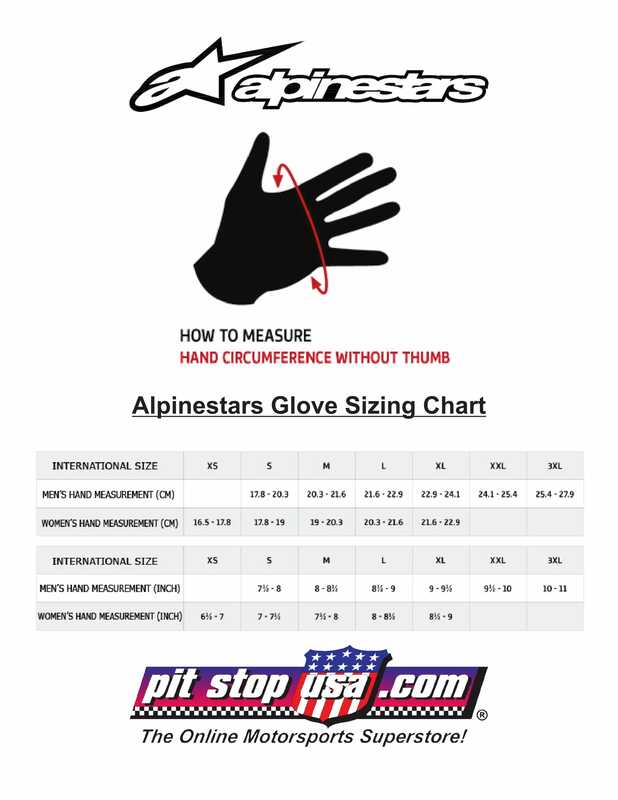 Drawing on decades of technical expertise from Alpinestars? racing program, this glove features an innovative flame-resistant aramid fiber ensures superior safety and feel. 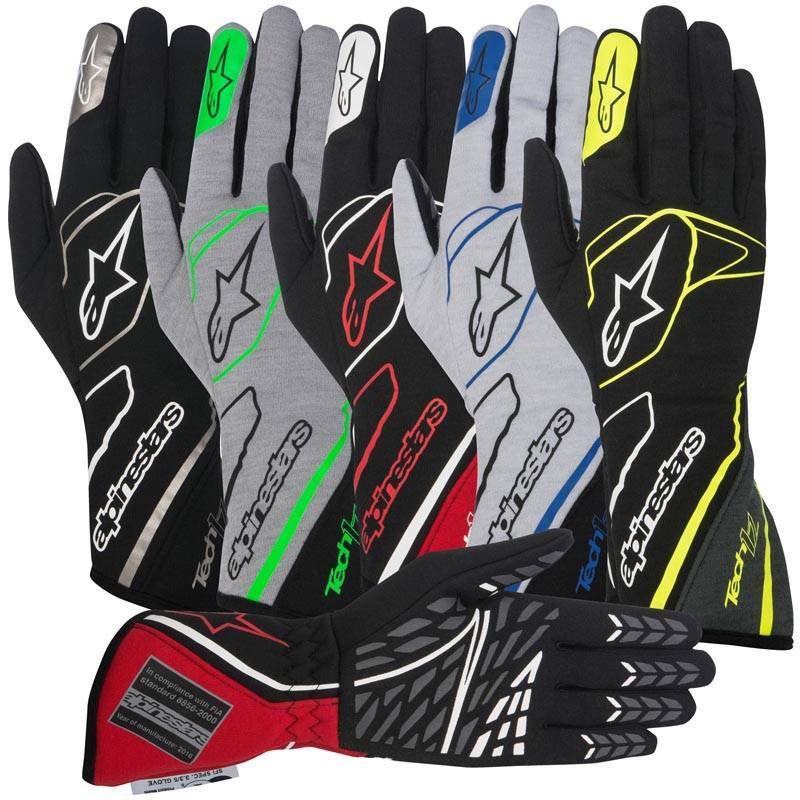 The Alpinestars Tech 1-Z Auto Racing Glove features a range of design and material innovations resulting in an ergonomically evolved chassis which offers a significant weight reduction and improved levels of control, cockpit comfort and performance. 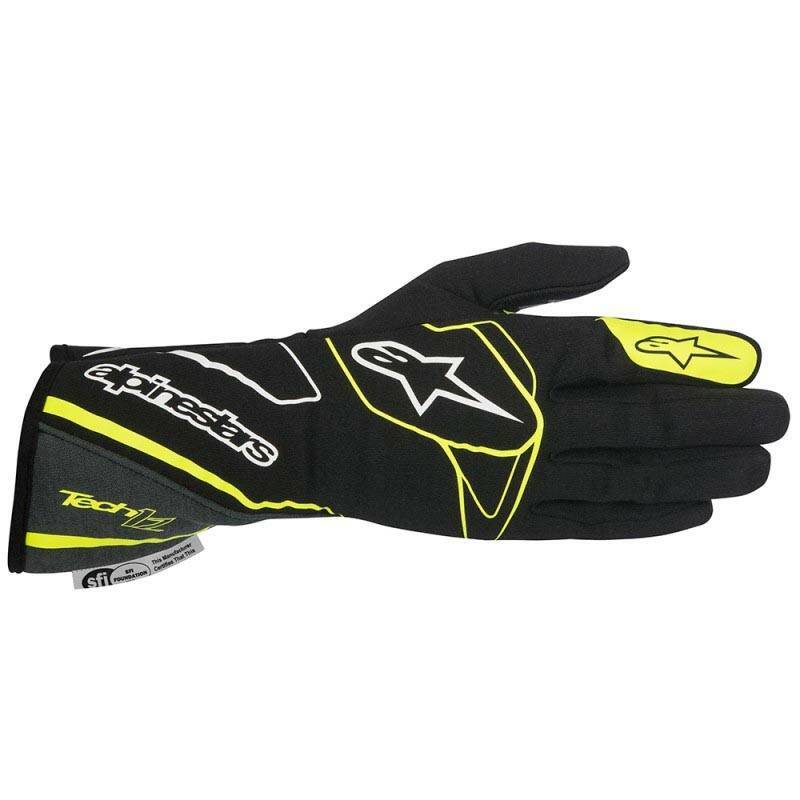 Drawing on decades of technical expertise from Alpinestars’ racing program, this glove features an innovative flame-resistant aramid fiber ensures superior safety and feel. Innovative flame-resistant aramid fiber main construction with a bonded aramid inner lining to ensure optimal temperature control for maximum comfort and feel. Newly developed latex sprayed interior grip zone improves comfort and combines with outer grip zones for superb control and feel on the cockpit’s controls. New ergonomic chassis design for improved performance fit that offers a secure and snug fit around the wrist area. Strategically positioned silicone textured patterning on full palm and fingers for optimized levels of grip, mobility and feel. 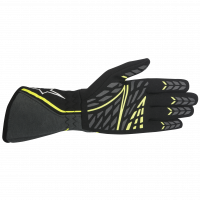 Pre-curved finger and palm design aids fit while reducing material bunching when gripping the controls. Tapered wrist cuff incorporates 180° elasticated wrist for secure and tight fit. Pit Stop USA offers Alpinestars Tech 1-Z Glove - Black/Anthracite/Yellow Fluo - 3550217-1155 at low everyday prices. 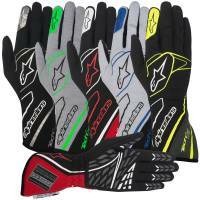 Be sure to check out all our products from Alpinestars including Alpinestars Auto Racing Gloves.